Home / Blog / Worplesdon Golf Club’s New Golf Simulator Enclosure. Worplesdon Golf Club’s New Golf Simulator Enclosure. 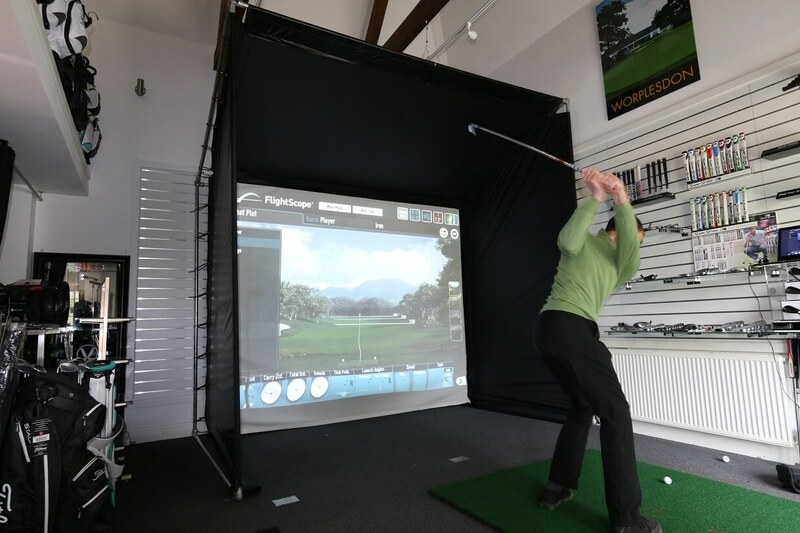 Fed up with this winters weather, Alex Nickleson from Worplesdon Golf Club called Golf Swing Systems to enquire if part of his Pro Shop, could be converted into a custom fitting and coaching studio. We went round to Alex’s shop and were amazed with the space the shop had when the stock had been reduced. Alex felt that having large amounts of stock in the shop were no longer warranted when he could use the space for custom fitting and coaching through the winter using his Flightscope system.